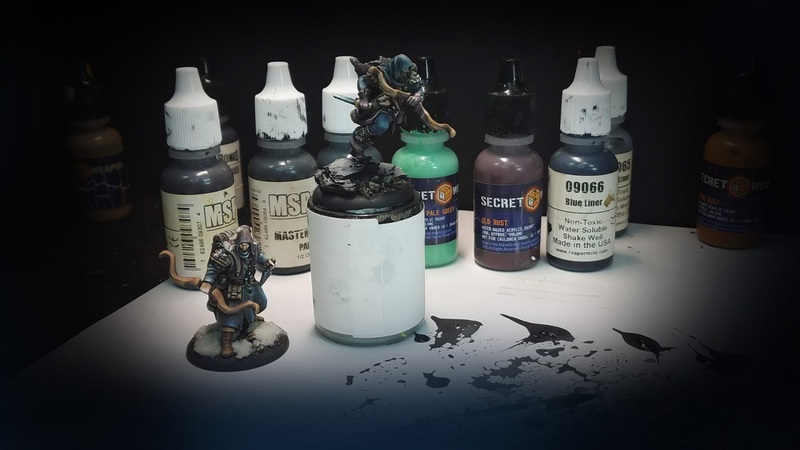 Series 6 of my Army Painting tutorial videos is well under way! In fact, I am already filming the third installment of the five part series. 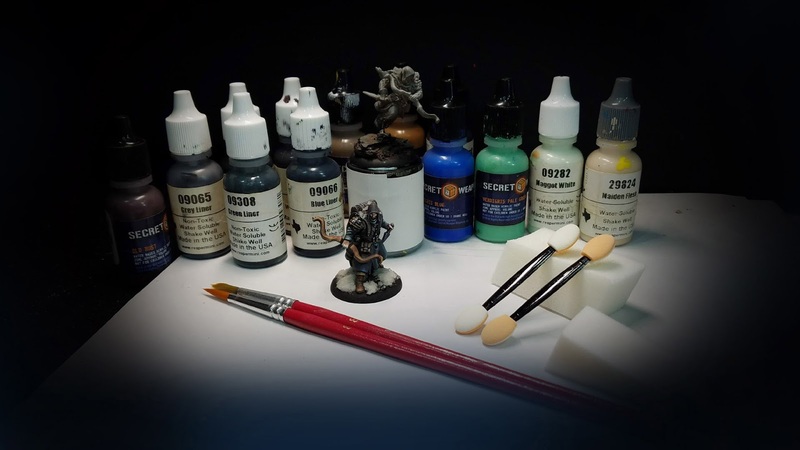 Each of these Army Painting series is around 11-13 hours long, covering every step of the process of painting a unit. In this case, I was working on the "Color Test" figure, where I not only establish the look of the figures, but assess how long certain effects will take. When you multiply the 5 or 10 minutes a given effect might require by 12, and then by 4-5 units of 12, you can see how that adds up! So, all the while I work on these figures, I am constantly figuring out what is worth my time to create, and what needs to be "inferred". 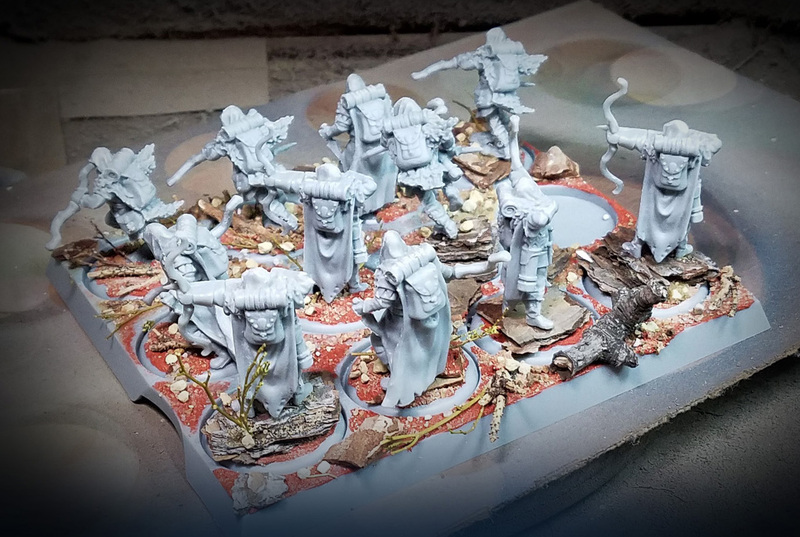 By inferred, I mean using some very quick and simple glazes to tint things, or to indicate there are more shades of color than I actually took the time to paint! 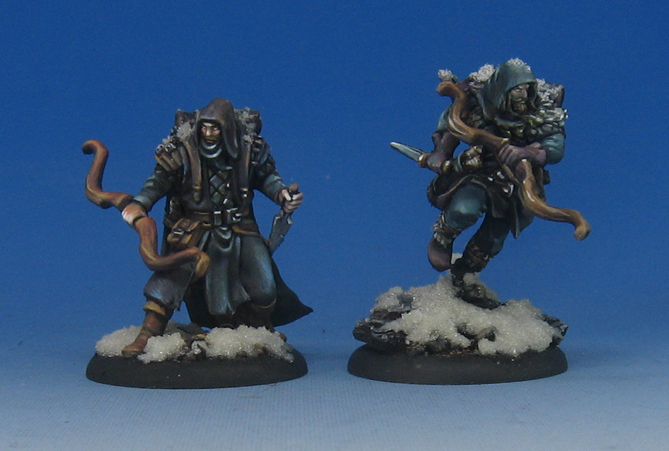 Of course, I also had to figure out just how much snow effect I wanted on the bases, and see what might be possible on some of the action poses like this one. I was able to utilize the Secret Weapon Miniatures crushed glass method to get that scattered snow effect, as if he were kicking up some of the snow! I added something else to this series, and that is a quick step by step of the priming process. So many questions have been asked, I thought that I might include it on as many videos as possible. I am using the Badger Stynlrez Primers and a Patriot 105. 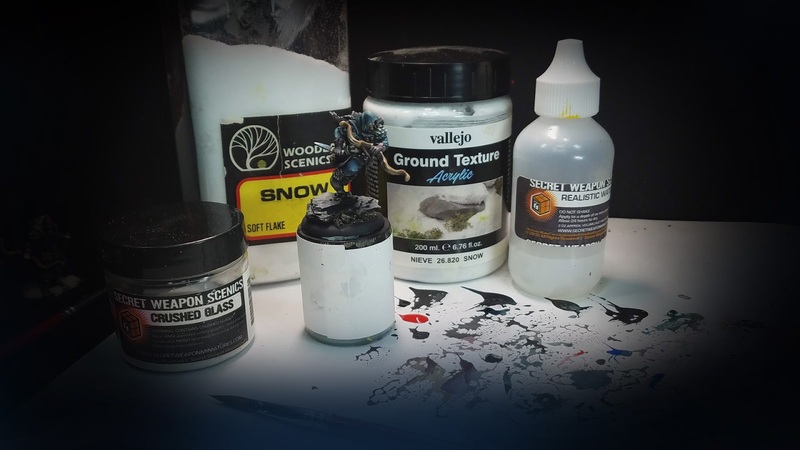 They cover the figures very well, and provide a very sturdy and rugged painting base! As always, I try to present as many options as possible, instead of hard and fast "rules". 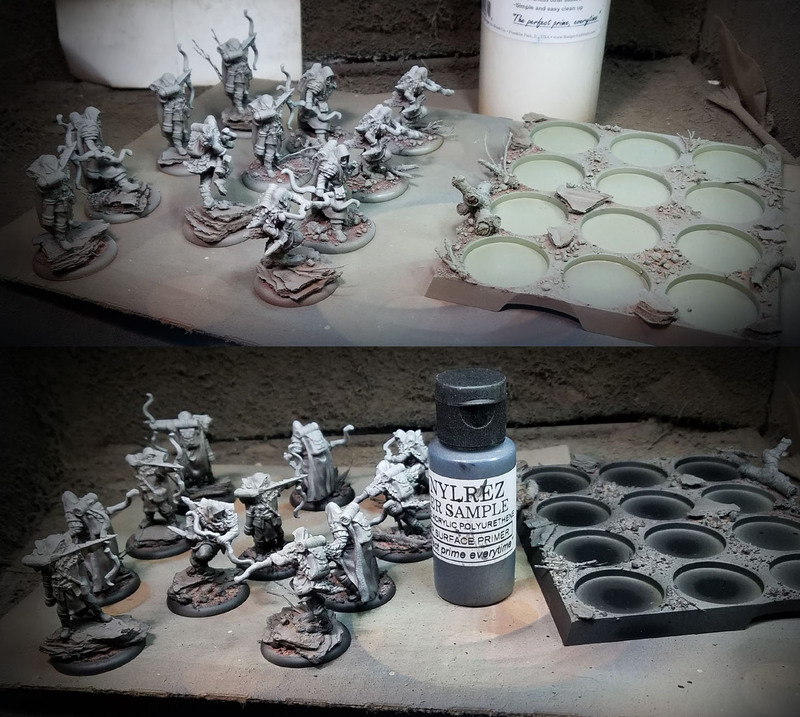 You could brush on this primer if you don't have an airbrush. 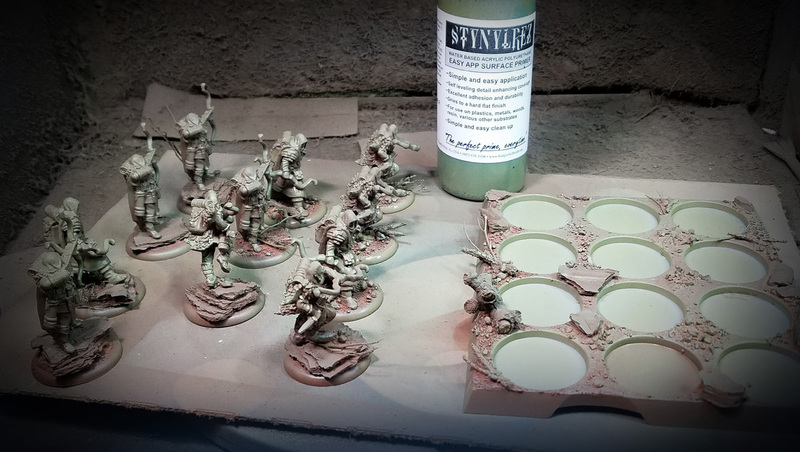 Should you prefer the spray can primer (where you have much better weather for such things than I do! ), you could do a very similar process with those. Here's the Color Test miniatures painted in Episode 2. I love the action and movement of these archers! During the video, I go into the ways I use to get the most out of a so called "limited palette". While there are not a lot of paint colors on the palette, some very simple mixes yield a host of options. Take the backpack for instance. I think you can see the hints of greenish grey in the midtones and light shadows. This gives the look of aged leather and brings it more in line with the other blueish and greenish shades around it. It took very little time to put that in place, as I was already using that color to put light tones on the hood and pants! I even did my little trick of taking out all the saturation on screen, so you could see how the shading looks as it should, but when the color is restored, you get that more interesting look to the leather. 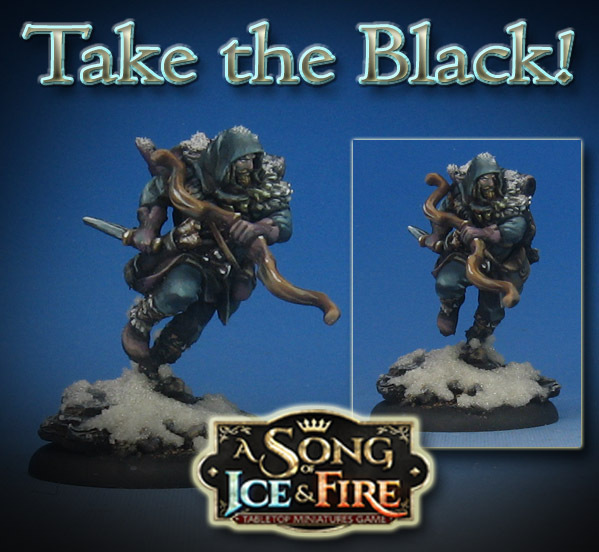 I will be doing the entire Night's Watch range in these video Tutorials, along with the Free Folk faction. Some of you are already aware that I have a full series on the Lannister Halberds, with many more on the way for Starks and Boltons too! If you join the Patreon Page at the $15 a month level, you will get access to all the previous series, as well as 15-20+ hours of video content every month. 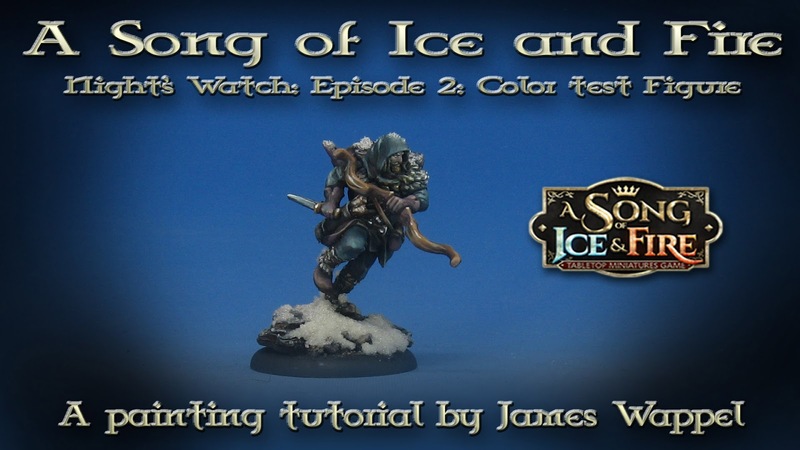 The full range of Song of Ice and Fire miniatures will be covered in my tutorials, including terrain and battle reports!